Could Desalination Be a New Energy Storage Market? Dropping battery costs make the application more attractive. But water storage is still far more economic. A boom in desalination could create new opportunities for energy storage as developers seek to maximize output from assets powered by wind or solar. 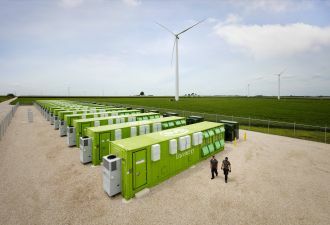 “As soon as solar-plus-storage can compete with [traditional] generation prices, there will be a huge market,” said Thomas Hillig, managing director of Dr. Thomas Hillig Energy Consulting, a consultancy focused on off-grid energy markets. Currently the market for energy storage attached to desalination plants is still in its infancy because of the cost of batteries. With most desalination projects, “You pretty much have the choice of where to put them,” Hillig noted. In such cases, developers will naturally tend to choose locations where energy is cheap and plentiful. Thus, for the vast majority of desalination plants today, solar-plus-storage is still “not feasible. It’s a nice concept; a market of the future,” he said. But the picture is changing as demand for desalination grows and solar-plus-storage becomes more competitive. Currently, desalination serves around 1 percent of the global population, or almost 746 million people. But desalination capacity increased 57 percent between 2008 and 2013, according the market research organization Global Water Intelligence (GWI) and the International Desalination Association. GWI said desalination could be needed for up to 14 percent of the world population by 2025, based on United Nations figures for water scarcity. Renewable energy is already being considered as the power source of choice for many new desalination projects. Desalination is commonly used on islands where the main conventional fuel, diesel, is very expensive and solar or wind can easily compete on cost, noted Hillig. But even in areas where fossil fuels are commonplace, there could be powerful incentives to use renewable energy for desalination. In Saudi Arabia, for example, 10 percent of primary energy use is devoted to desalination. And a report this year from Wood Mackenzie and Verisk Maplecroft found solar power could be a more competitive way of powering the process at oil prices above $20 a barrel. 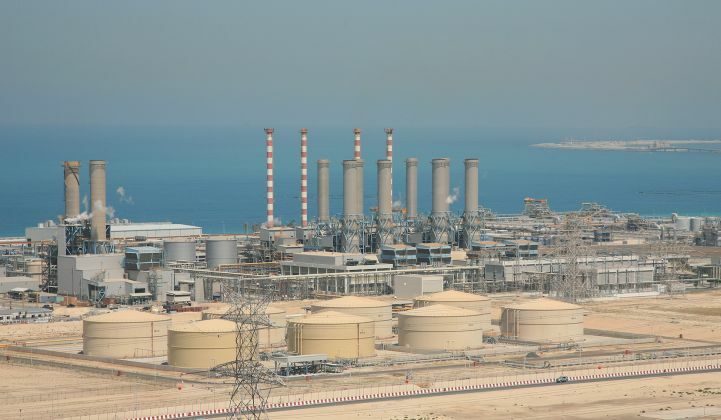 Because desalination is often needed in desert environments that are already ecologically stressed, environmental friendliness is another potentially significant factor in choosing to use renewable energy for desalination. The equipment maker Hitachi, for instance, has developed solar-powered desalination plants to provide fresh water for the Arabian oryx, an endangered species, in the United Arab Emirates. While it may not yet be economical to incorporate batteries into such designs, other types of storage might prove more cost-effective in the areas where desalination is needed. Concentrated solar power with thermal storage, for example, is a good match for desert regions with high desalination needs, and can potentially provide round-the-clock power. Hillig said mining companies could look at the technology for combined desalination and process heat applications in markets such as Chile. “Or you could use thermal storage with PV,” he said. And Tim Young, president and CEO of U.S. technology developer HyperSolar, listed desalination among the potential applications for a solar-powered hydrogen generation concept his company is working on. The process would work well with saltwater or any water with “organics that need to be cleaned up,” he said. Hillig said island resorts might become early adopters of solar-plus-storage-powered desalination plants, since they often face high traditional generation costs combined with a significant demand for fresh water and a desire to be seen as environmentally friendly. What might spoil the pitch for energy storage, however, is the fact that storing water is cheaper than storing electricity. Researchers from the University of Sydney, Australia, compared both types of storage in a paper published this month. “We demonstrated that in developing a renewable energy scheme for desalination purposes, product (water) storage is a more reliable and techno-economic solution,” they concluded.